Sleep better and cheaper with our Sleep And Co coupons and vouchers. 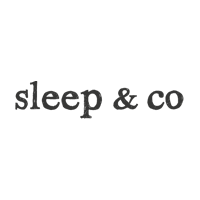 Sleep & Co offers the most affordable and comfortable mattresses Australia wide, all delivered for free. We have two types of mattresses, an adaptive memory foam and a hybrid, we also have bed bases available in two different colours, also delivered in a box and can be assembled in minutes. We believe our customers shouldn’t have to pay thousands of dollars for a new mattress in store when we can have one of the same quality delivered for free to their door for just a few hundred dollars! We’re not another startup jumping onto the online mattress bandwagon. We’ve been behind the scenes for over 30 years making mattresses for all the big names in the industry worldwide. Now we’ve cut out the middlemen so you can buy direct from us and save up to 70% on Australia’s best mattresses.